Hearingsol helps you to create effective solutions for a wide range of hearing difficulties and customize the solution to the customer specific requirements. Hearingsol even provides you the all the information that help you to buy a best suitable hearing aid for you. Hearing aids help you in connecting with a sound and people near you that will help you in making your relations better. Now its a time of digital hearing aid that can even understand the difference between noise and sound and will help you to listen even more better. 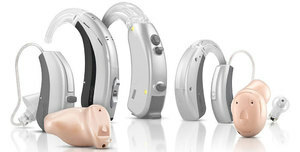 There are more than 100 hearing aid brands available in the market. Hearingsol helps you in finding the one which suits you the most by comparing some top reputable brands and manufacturers. There is a huge variety of hearing aid available in the market for every individual. Like a simple hearing aid will not be a perfect choice for a person who is interested in sports and a swimmer. There are some brands also who are manufacturing invisible hearing aid for a person who doesn't want to show someone his or her disability. Hearingsol let you select from some of the top brands and guide you to find the best hearing aids according to your need and budget.